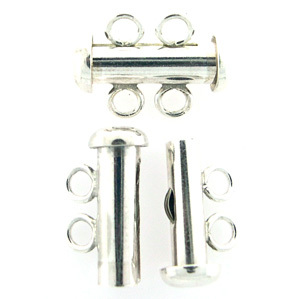 Beautiful Sterling Double Strand Slider clasps. Very simple.. just slide one side into the other - no hassle, yet secure! These slider clasps are NOT magnetic. Suitable for jewelry when magnets cannot be used.